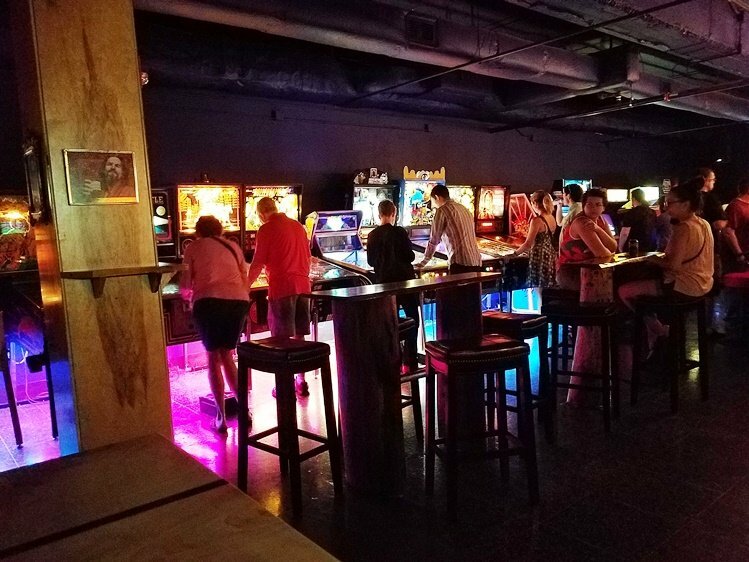 With all the bar arcades that have popped up in the Triangle, one city was conspicuous lacking one: Durham. 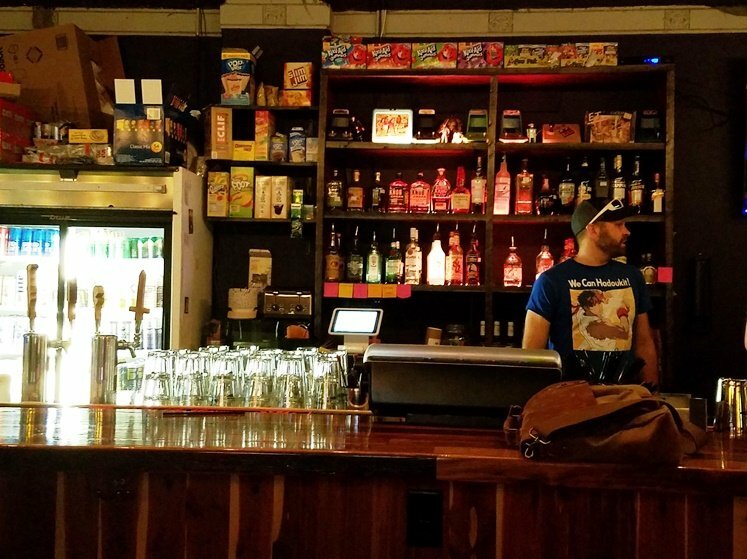 Especially given the urban, hipster origins of the bar arcade. 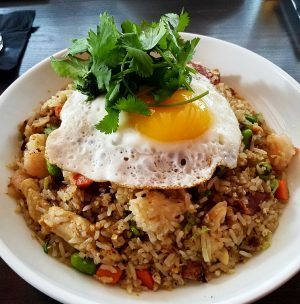 We’ve got the Baxter out in Chapel Hill, Level Up and Boxcar out in Raleigh and… Yeah, there really wasn’t a bar arcade in Durham except for maybe the Social out on W. Main street but it’s more bar than anything else. 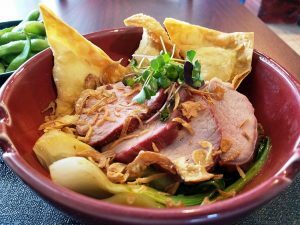 Enter Quarter Horse Arcade! I had watched them for a bit on Facebook, wondering when they might open and finally they did, right before the 4th of July. So what could be more ‘merican than some good beer and arcade games? It was time to head on over for a visit! The Quarter Horse sits conveniently on Mangum Street, right across the way from DPAC. 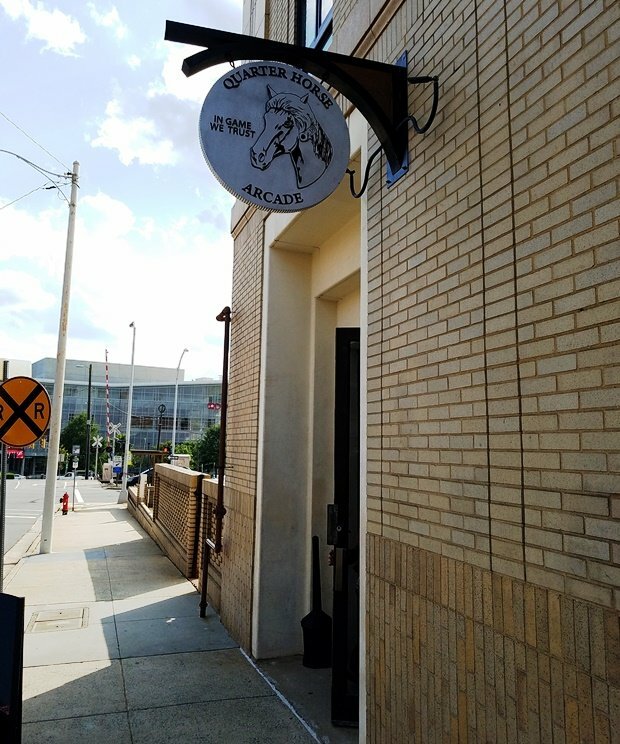 Head down those stairs to its subterranean space, the Quarter Horse Arcade used to be a storage area and gives off the feel of your friend’s really cool basement full of video games! Get your membership card from the security guy at the doorway and your information will now be in their system, regardless of whether you’ve got your card or not. 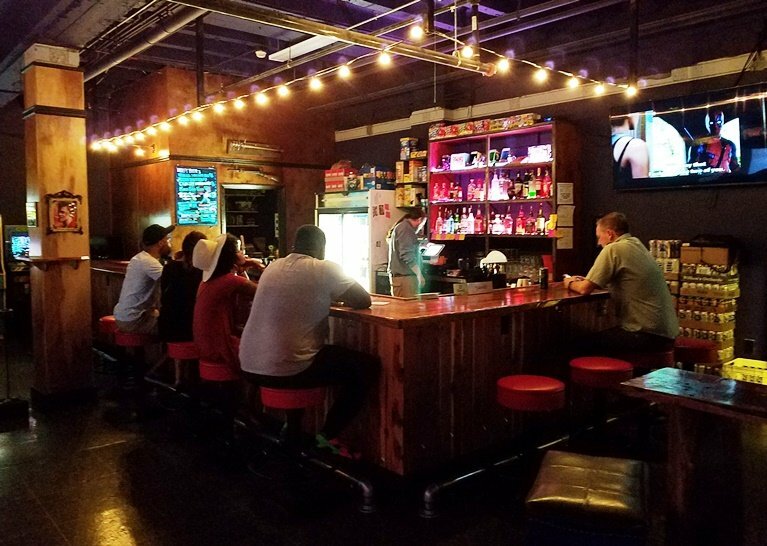 Inside Quarter Horse you’ll find an L-shaped bar straight in front of you with red leather stools dotted in front. The space here is functional with exposed pipes overhead, a small DJ area and games along the edges of the space. A small nook behind you holds the change machines and a handful of more arcade consoles but I’m grabbing a drink before I get my game on! 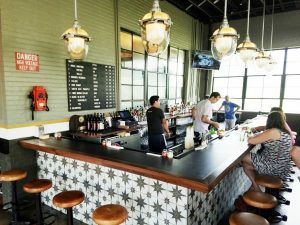 The Quarter Horse offers up a small selection of draft beers and cocktails along with a slew of junk food. Fruit by the Foot, Charleston Chews, Pop Tarts, Slim Jims, Fruit Gushers and more, it’s a veritable junk food fest here at Quarter Horse Arcade and perfect for getting your heart rate amped up with some sugar! I go with a Trophy Pacific IPA to get the evening started. Scanning the room I guesstimate there must be about 40 games in the space! On the lower side for a bar arcade, but certainly enough to keep you entertained for an hour or two. 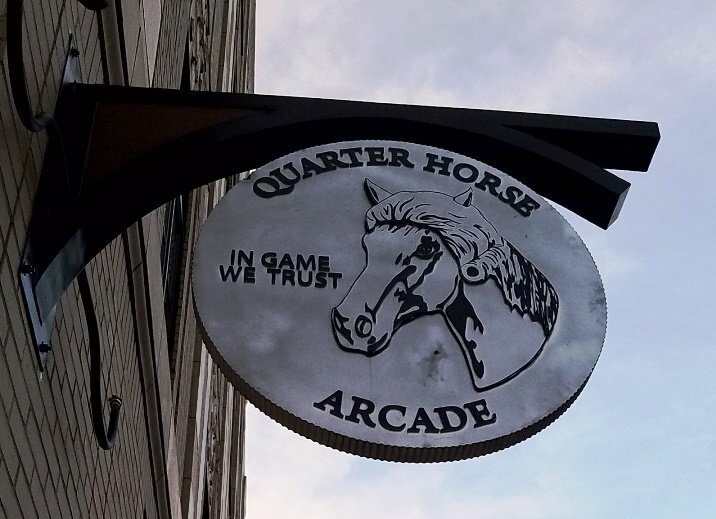 Quarter Horse offers up the usual Space Invaders and Donkey Kong along with some decent pinball tables (Addams Family) lit underneath by neon! Given the smaller space Quarter Horse also has a handful of quirky and narrow console games like Taito’s Cold Beer. In this dexterous challenge, you balance a metal ball on a bar controlled by two joysticks and attempt to maneuver it up the playing table to deposit the ball in specific holes, fun! There are cup holders installed on most consoles or a stand nearby to protect your beer while you play. Bathrooms are located out in a hallway out back and the crowd here at Quarter Horse Arcade is all-Durham: quirky, chill, mostly under 45 and male (shocker). So while you may not think of Quarter Horse as a pre or post-DPAC show option given its casualness, I certainly do! It’s a fun and noisy spot to drop in real quickly, grab a beer and game away for a bit. So rock on Quarter Horse Arcade! 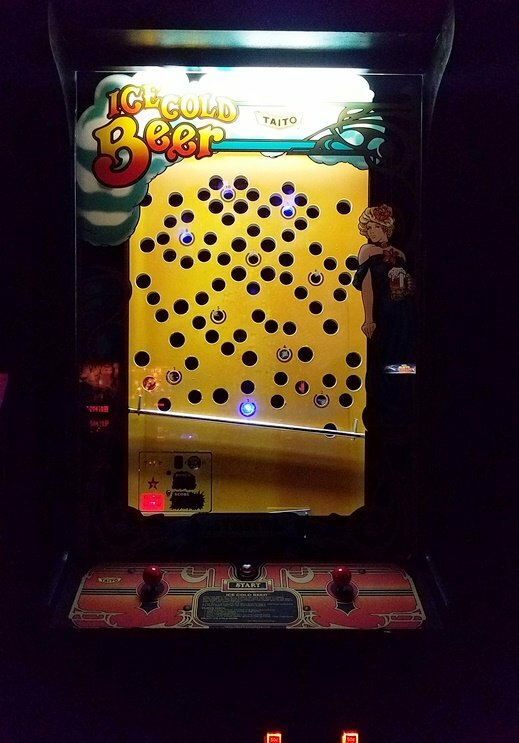 You’re off and running at a really good clip, looking forward to dropping some more quarters into your consoles and cussing out your Cold Beer game!